Hiring a celebrity spokesperson is a proven way to drive sales. It's also frightfully expensive and has the potential to backfire. Consider all of the brands that had Tiger Woods signed up as pitchman when his marital scandal hit and his golden career suddenly imploded. Swag providers know the cost of supplying those freebies is pin money compared to the sales boost they could get if even a single celebrity uses their products. There are scads of swag-bag donation opportunities each year, from local events to huge national ones. The hope here is also to get more than one star talking about your brand, which helps spread your risk if one of them enters rehab. Direct mail. Some fashion companies try the direct approach, mailing out product samples directly to celebrities' representatives in hopes a celeb will later be snapped (and widely circulated in social media) using their product. This approach helped skyrocket startup fashion-watch company RumbaTime to over $1 million in sales their first year. They mass-mailed their watches out to oodles of style-conscious celebs, and their brightly colored watches were soon photographed on the wrists of Snoop Dogg, Jaime Pressly and others. One-off celebrity appearances. It's much cheaper to hire a hot band to play your annual meeting, as Starbucks regularly does, than to hire them to pitch your brand year-round. But the glitter still rubs off and their presence gets you some extra spin. The Office's Rainn Wilson, a.k.a. 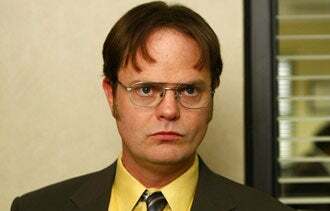 Dwight Schrute, was brought in to heckle Adobe executives as they presented new products for a large trade-show audience. This approach serves up a quick hit of celebrity sparkle -- the star is in, it's cool that they're doing something with your brand and then they're gone. Their personal-appearance fee is going to be a fraction of the cost of signing a famous name to a 12-month endorsement contract. If your chosen guest-celeb goes off the deep end a few months from now, the association with your company is looser and you're probably outside the collateral-damage zone. You may think hiring a celebrity isn't in your budget no matter how you slice it -- but remember, there are all levels of celebrities. The host of your local news show or the chef of your town's hottest restaurant is big with your customers. They could probably give your brand plenty of buzz at a modest personal-appearance rate. How will you promote your brand this year? Leave a comment and tell us your strategy.